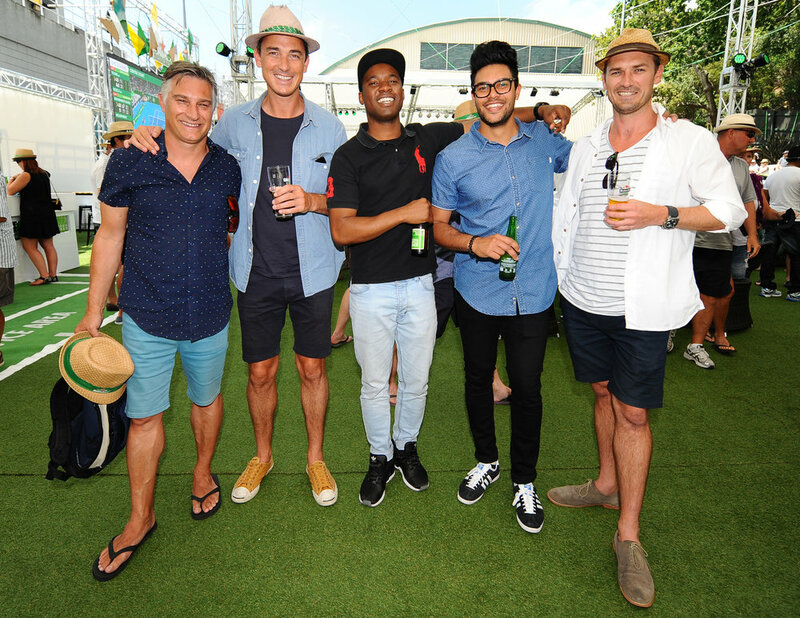 THE HEINEKEN BASELINE WAS UNDENIABLY THE HOTTEST PLACE TO BE – SERVING UP THE VERY BEST IN ENTERTAINMENT, HOSPITALITY AND OF COURSE, TENNIS. GUESTS CAME IN THEIR MASSES TO SOAK UP ALL THE LIVE ACTION ON THE BIG SCREEN FOR 2 WEEKS OF THE TOURNAMENTS. THEN ON THE DAY OF THE FINAL, THE AFTER PARTY UNFOLDED AROUND THE SELL OUT CROWDS. OUR ROLE WAS INTENSIVE, TAKING CARE OF ALL ELEMENTS WHICH EXTENDED INTO STRATEGY, COMMS, CREATIVE, ARTIST LIAISON + PRODUCTION. IN THE 6 YEARS OF RAW BEING AT THE HELM OF THE HEINEKEN BASELINE AFTER PARTY - IT’S CONTINUALLY INCREASED IN ATTENDANCE + INTENSITY. HAVING BOASTED EPIC LINE-UPS SINCE DAY ONE FROM THE LIKES OF PEKING DUK, DAVID DALLAS, HOLLIE SMITH, ELECTRIC WIRE HUSTLE + THE PEACEKEEPERS, WE ALWAYS GUARANTEED A SUN-SOAKED DAY OF VIBES/VIBES/VIBES. AND NO ONE CAN DENY THAT A TRUE HIGHLIGHT FOR THE RAW TEAM WAS WORKING ALONGSIDE THE BIGGEST SMILE IN THE BUSINESS, THE AMAZING, THE TALENTED - MR ISAAC AESILI.